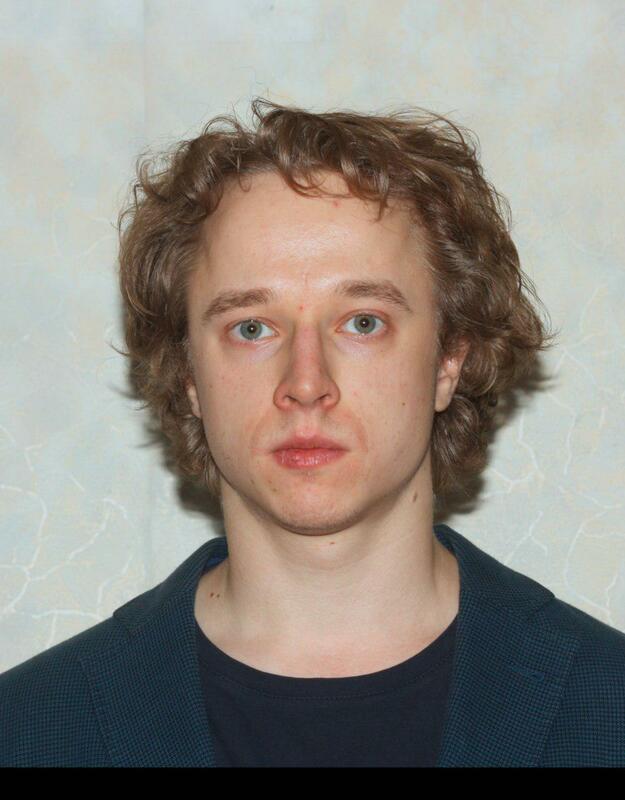 Dmitri is a skilled computational biologist, qualified statistician, and strong mathematician. He obtained the MSc in Mathematics (1996), MSc in Chemistry (1997) and PhD in Algebra, Logics, and Number Theory (1999) from the Moscow State University (MSU). In 2002, he received MSc in Bioinformatics from Boston University, where he stayed until 2005 with the group of Dr Nancy Kopell at the Center for BioDynamics and the Department of Mathematics and Statistics to conduct his postdoctoral research in computational neuroscience. Then Dmitri returned to his alma mater to work with Dr Mikhail Gelfand and Dr Andrei Mironov on computational RNA structure prediction and comparative genomics, where he identified a group of ultra-conserved RNA structures that impact pre-mRNA splicing. 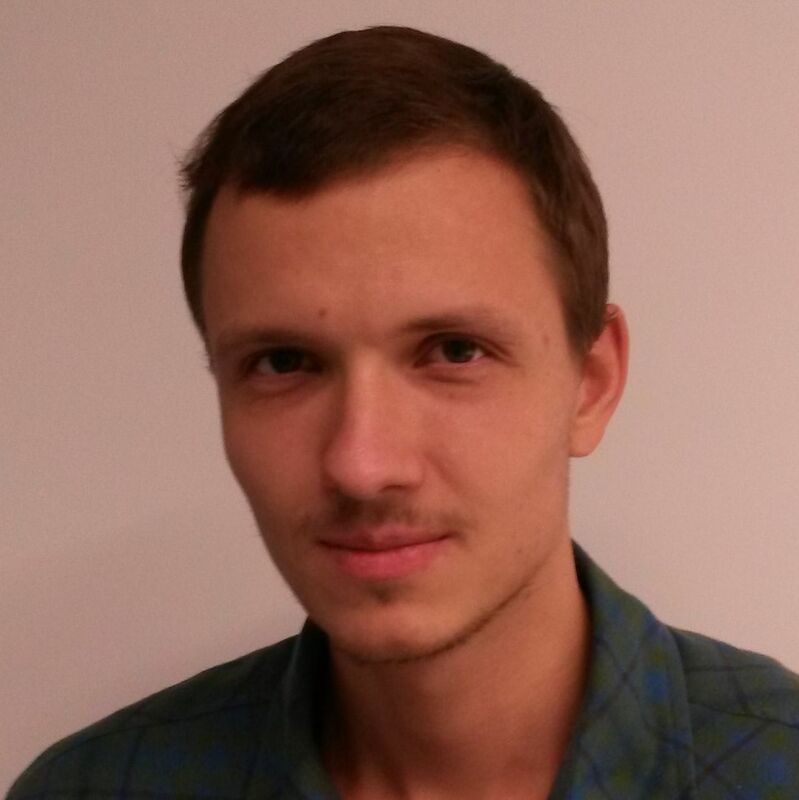 In 2011, Dmitri joined the group of Dr Roderic Guigo at the Center for Genomic Regulation, Pompeu Fabra University (Barcelona), as a research associate to do research in transcriptomics and big data analysis. Dmitri also worked in close collaboration with ENCODE consortium where together with the colleagues he identified a group of genes with constrained expression across mammalian evolution and described distinct properties of this group of genes. 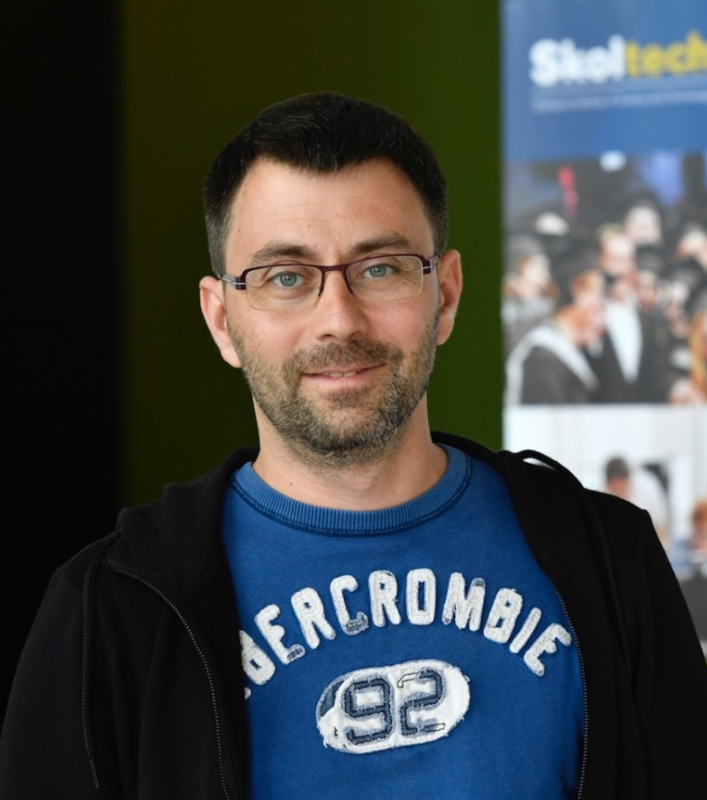 Dmitri’s research career in computational biology encompasses computational neuroscience, structural bioinformatics of RNA, and the analysis of big transcriptomics data. 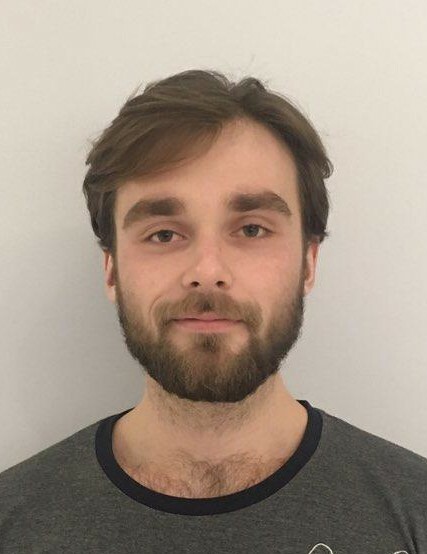 One of the projects he is currently working on is the integrative analysis of transcription, alternative splicing, and chromatin modifications to shed some light on RNA-chromatin interactions and their role in post-transcriptional RNA processing. Dmitri has considerable international experience in teaching: he taught many diverse classes including calculus, probability and statistics, linear algebra, discrete math, stochastic calculus, polymer chemistry, applied statistics for biologists at Boston University, MSU, and the National Research University Higher School of Economics, Moscow. The research of our lab is dedicated to all aspects of biogenesis, structure, and function of eukaryotic RNAs. In particular, the key focus is pre-mRNA splicing, its regulation, and role in disease. We use methods of bioinformatics, computational genomics, and statistical learning to integrate high-throughput data from large panels of transcriptomic experiments to build integrative models of RNA processing, and to understand mechanisms of regulation of specific genes involved in disease. More specific details about ongoing projects can be found on the webpage of the Center of Life Sciences. Breschi A, Muñoz-Aguirre M, Wucher V, Davis CA, Garrido-Martín D, Djebali S, Gillis J, Pervouchine DD, Vlasova A, Dobin A, Zaleski C, Drenkow J, Danyko C, Scavelli A, Reverter F, Gingeras TR, Guigó R. A limited set of transcriptional programs define major histological types and provide the molecular basis for a cellular taxonomy of the human body. Nature, in review. Steward CA, Roovers J, Suner M, Gonzalez JM, Uszczynska-Ratajczak B, Pervouchine DD, Fitzgerald S, Viola M, Stamberger H, Hamdan F, Ceulemans B, Leroy P, Nava C, Lepine A, Tapanari E, Keiller D, Abbs S, Sanchis-Juan A, Grozeva D, Wright J, Choudhary J, Diekhans M, Guigó R, Petryszak R, Mudge JM, Harrow J, Minassian BA, Flicek P, Raymond FL, Lench NJ, Weckhuysen S, De Jonghe P, Sisodiya SM, Frankish A. Improved gene annotation identifies de novo variants in unsolved cases of severe epilepsy. Nature Genetics, in review. Ivanov TM, Pervouchine DD. An Evolutionary Mechanism for the Generation of Competing RNA Structures Associated with Mutually Exclusive Exons. Genes (Basel). 2018 Jul 17;9(7). pii: E356. doi: 10.3390/genes9070356. PubMed PMID: 30018239. Pervouchine DD. Towards Long-Range RNA Structure Prediction in Eukaryotic Genes. Genes (Basel). 2018 Jun 15;9(6). pii: E302. doi: 10.3390/genes9060302. Review. PubMed PMID: 29914113; PubMed Central PMCID: PMC6027157. Morozov D, Morozova O, Pervouchine D, Severgina L, Tsyplakov A, Zakharova N, Sushentsev N, Maltseva L, Budnik I. Hypoxic renal injury in newborns with abdominal compartment syndrome (clinical and experimental study). Pediatr Res. 2017 Nov 15. doi: 10.1038/pr.2017.263. PubMed PMID: 29053704. Breschi A, Djebali S, Gillis J, Pervouchine DD, Dobin A, Davis CA, Gingeras TR, Guigó R. Gene-specific patterns of expression variation across organs and species. Genome Biol. 2016 Jul 8;17(1):151. doi: 10.1186/s13059-016-1008-y. Teng M, Love MI, Davis CA, Djebali S, Dobin A, Graveley BR, Li S, Mason CE, Olson S, Pervouchine D, Sloan CA, Wei X, Zhan L, Irizarry RA. A benchmark for RNA-seq quantification pipelines. Genome Biol. 2016 Apr 23;17(1):74. doi: 10.1186/s13059-016-0940-1. Erratum in: Genome Biol. 2016;17(1):107. PubMed PMID: 27107712; PubMed Central PMCID: PMC4842274. Morozov D, Morozova O, Budnik I, Pervouchine D, Pimenova E, Zakharova N. Urinary cytokines as markers of latent inflammation in children with chronic pyelonephritis and anorectal malformations. J Pediatr Urol. 2016 Feb 16. pii: S1477-5131(16)00045-0. doi: 10.1016/j.jpurol.2016.01.013. [Epub ahead of print] PubMed PMID: 26936433. Frankish A, Uszczynska B, Ritchie GR, Gonzalez JM, Pervouchine D, Petryszak R, Mudge JM, Fonseca N, Brazma A, Guigo R, Harrow J. Comparison of GENCODE and RefSeq gene annotation and the impact of reference geneset on variant effect prediction. BMC Genomics. 2015 16 Suppl 8:S2. doi: 10.1186/1471-2164-16-S8-S2. Epub 2015 Jun 18. PubMed PMID: 26110515; PubMed Central PMCID: PMC4502323. Melé M, Ferreira PG, Reverter F, DeLuca DS, Monlong J, Sammeth M, Young TR, Goldmann JM, Pervouchine DD, Sullivan TJ, Johnson R, Segrè AV, Djebali S, Niarchou A; GTEx Consortium, Wright FA, Lappalainen T, Calvo M, Getz G, Dermitzakis ET, Ardlie KG, Guigó R. Human genomics. The human transcriptome across tissues and individuals. Science. 2015 May 8;348(6235):660-5. doi: 10.1126/science.aaa0355. PubMed PMID: 25954002; PubMed Central PMCID: PMC4547472. Pervouchine DD, Djebali S, Breschi A, Davis CA, Barja PP, Dobin A, Tanzer A, Lagarde J, Zaleski C, See LH, Fastuca M, Drenkow J, Wang H, Bussotti G, Pei B, Balasubramanian S, Monlong J, Harmanci A, Gerstein M, Beer MA, Notredame C, Guigó R, Gingeras TR. Enhanced transcriptome maps from multiple mouse tissues reveal evolutionary constraint in gene expression. Nat Commun. 2015 Jan 13;6:5903. doi: 10.1038/ncomms6903. PubMed PMID: 25582907; PubMed Central PMCID: PMC4308717. Cheng Y, Ma Z, Kim BH, Wu W, Cayting P, Boyle AP, Sundaram V, Xing X, Dogan N, Li J, Euskirchen G, Lin S, Lin Y, Visel A, Kawli T, Yang X, Patacsil D, Keller CA, Giardine B; Mouse ENCODE Consortium, Kundaje A, Wang T, Pennacchio LA, Weng Z, Hardison RC, Snyder MP. Principles of regulatory information conservation between mouse and human. Nature. 2014 Nov 20;515(7527):371-5. doi: 10.1038/nature13985. PubMed PMID: 25409826; PubMed Central PMCID: PMC4343047. Yue F, Cheng Y, Breschi A, Vierstra J, Wu W, Ryba T, Sandstrom R, Ma Z, Davis C, Pope BD, Shen Y, Pervouchine DD, Djebali S, Thurman RE, Kaul R, Rynes E, Kirilusha A, Marinov GK, Williams BA, Trout D, Amrhein H, Fisher-Aylor K, Antoshechkin I, DeSalvo G, See LH, Fastuca M, Drenkow J, Zaleski C, Dobin A, Prieto P, Lagarde J, Bussotti G, Tanzer A, Denas O, Li K, Bender MA, Zhang M, Byron R, Groudine MT, McCleary D, Pham L, Ye Z, Kuan S, Edsall L, Wu YC, Rasmussen MD, Bansal MS, Kellis M, Keller CA, Morrissey CS, Mishra T, Jain D, Dogan N, Harris RS, Cayting P, Kawli T, Boyle AP, Euskirchen G, Kundaje A, Lin S, Lin Y, Jansen C, Malladi VS, Cline MS, Erickson DT, Kirkup VM, Learned K, Sloan CA, Rosenbloom KR, Lacerda de Sousa B, Beal K, Pignatelli M, Flicek P, Lian J, Kahveci T, Lee D, Kent WJ, Ramalho Santos M, Herrero J, Notredame C, Johnson A, Vong S, Lee K, Bates D, Neri F, Diegel M, Canfield T, Sabo PJ, Wilken MS, Reh TA, Giste E, Shafer A, Kutyavin T, Haugen E, Dunn D, Reynolds AP, Neph S, Humbert R, Hansen RS, De Bruijn M, Selleri L, Rudensky A, Josefowicz S, Samstein R, Eichler EE, Orkin SH, Levasseur D, Papayannopoulou T, Chang KH, Skoultchi A, Gosh S, Disteche C, Treuting P, Wang Y, Weiss MJ, Blobel GA, Cao X, Zhong S, Wang T, Good PJ, Lowdon RF, Adams LB, Zhou XQ, Pazin MJ, Feingold EA, Wold B, Taylor J, Mortazavi A, Weissman SM, Stamatoyannopoulos JA, Snyder MP, Guigo R, Gingeras TR, Gilbert DM, Hardison RC, Beer MA, Ren B; Mouse ENCODE Consortium. A comparative encyclopedia of DNA elements in the mouse genome. Nature. 2014 Nov 20;515(7527):355-64. doi: 10.1038/nature13992. PubMed PMID: 25409824; PubMed Central PMCID: PMC4266106. Gerstein MB, Rozowsky J, Yan KK, Wang D, Cheng C, Brown JB, Davis CA, Hillier L, Sisu C, Li JJ, Pei B, Harmanci AO, Duff MO, Djebali S, Alexander RP, Alver BH, Auerbach R, Bell K, Bickel PJ, Boeck ME, Boley NP, Booth BW, Cherbas L, Cherbas P, Di C, Dobin A, Drenkow J, Ewing B, Fang G, Fastuca M, Feingold EA, Frankish A, Gao G, Good PJ, Guigó R, Hammonds A, Harrow J, Hoskins RA, Howald C, Hu L, Huang H, Hubbard TJ, Huynh C, Jha S, Kasper D, Kato M, Kaufman TC, Kitchen RR, Ladewig E, Lagarde J, Lai E, Leng J, Lu Z, MacCoss M, May G, McWhirter R, Merrihew G, Miller DM, Mortazavi A, Murad R, Oliver B, Olson S, Park PJ, Pazin MJ, Perrimon N, Pervouchine D, Reinke V, Reymond A, Robinson G, Samsonova A, Saunders GI, Schlesinger F, Sethi A, Slack FJ, Spencer WC, Stoiber MH, Strasbourger P, Tanzer A, Thompson OA, Wan KH, Wang G, Wang H, Watkins KL, Wen J, Wen K, Xue C, Yang L, Yip K, Zaleski C, Zhang Y, Zheng H, Brenner SE, Graveley BR, Celniker SE, Gingeras TR, Waterston R. Comparative analysis of the transcriptome across distant species. Nature. 2014 Aug 28;512(7515):445-8. doi: 10.1038/nature13424. PubMed PMID: 25164755; PubMed Central PMCID: PMC4155737. Pervouchine DD. IRBIS: a systematic search for conserved complementarity. RNA. 2014 Oct;20(10):1519-31. doi: 10.1261/rna.045088.114. Epub 2014 Aug 20. PubMed PMID: 25142064; PubMed Central PMCID: PMC4174434. Pervouchine DD, Knowles DG, Guigó R. Intron-centric estimation of alternative splicing from RNA-seq data. Bioinformatics. 2013 Jan 15;29(2):273-4. doi: 10.1093/bioinformatics/bts678. Epub 2012 Nov 21. PubMed PMID: 23172860; PubMed Central PMCID: PMC3546801. Pervouchine DD, Khrameeva EE, Pichugina MY, Nikolaienko OV, Gelfand MS, Rubtsov PM, Mironov AA. Evidence for widespread association of mammalian splicing and conserved long-range RNA structures. RNA. 2012 Jan;18(1):1-15. doi: 10.1261/rna.029249.111. Epub 2011 Nov 29. PubMed PMID: 22128342; PubMed Central PMCID: PMC3261731. Kopell N, Boergers C, Pervouchine D, Malerba P, and Tort ABL. Gamma and Theta Rhythms in Biophysical Models of Hippocampal Circuits, Hippocampal Microcircuits: A Computational Modellers Resource Book. Eds. V. Cutsuridis, B.P. Graham, S. Cobb, I. Vida. Springer 2010 Ch. 15. Raker VA, Mironov AA, Gelfand MS, Pervouchine DD. Modulation of alternative splicing by long-range RNA structures in Drosophila. Nucleic Acids Res. 2009 Aug;37(14):4533-44. doi: 10.1093/nar/gkp407. Epub 2009 May 22. PubMed PMID: 19465384; PubMed Central PMCID: PMC2724269. Pervouchine DD, Netoff TI, Rotstein HG, White JA, Cunningham MO, Whittington MA, Kopell NJ. Low-dimensional maps encoding dynamics in entorhinal cortex and hippocampus. Neural Comput. 2006 Nov;18(11):2617-50. Erratum in: Neural Comput. 2007 Jan;19(1):302. PubMed PMID: 16999573. Danilova LV, Pervouchine DD, Favorov AV, Mironov AA. RNAKinetics: a web server that models secondary structure kinetics of an elongating RNA. J Bioinform Comput Biol. 2006 Apr;4(2):589-96. PubMed PMID: 16819804. Cunningham MO, Pervouchine DD, Racca C, Kopell NJ, Davies CH, Jones RS, Traub RD, Whittington MA. Neuronal metabolism governs cortical network response state. Proc Natl Acad Sci U S A. 2006 Apr 4;103(14):5597-601. Epub 2006 Mar 24. PubMed PMID: 16565217; PubMed Central PMCID: PMC1459399. Rotstein HG, Pervouchine DD, Acker CD, Gillies MJ, White JA, Buhl EH, Whittington MA, Kopell N. Slow and fast inhibition and an H-current interact to create a theta rhythm in a model of CA1 interneuron network. J Neurophysiol. 2005 Aug;94(2):1509-18. Epub 2005 Apr 27. PubMed PMID: 15857967. Pervouchine DD. IRIS: intermolecular RNA interaction search. Genome Inform. 2004 15(2):92-101. PubMed PMID: 15706495. Isaacs FJ, Dwyer DJ, Ding C, Pervouchine DD, Cantor CR, Collins JJ. Engineered riboregulators enable post-transcriptional control of gene expression. Nat Biotechnol. 2004 Jul;22(7):841-7. Epub 2004 Jun 20. PubMed PMID: 15208640. Pervouchine DD, Graber JH, Kasif S. On the normalization of RNA equilibrium free energy to the length of the sequence. Nucleic Acids Res. 2003 May 1;31(9):e49. PubMed PMID: 12711694; PubMed Central PMCID: PMC154237. Stitziel NO, Tseng YY, Pervouchine D, Goddeau D, Kasif S, Liang J. Structural location of disease-associated single-nucleotide polymorphisms. J Mol Biol. 2003 Apr 11;327(5):1021-30. PubMed PMID: 12662927. Pervouchine DD, “On the closures of orbits of fourth order matrix pencils”, Izv Math., 2002 66(5), 1047-1055. Pervouchine DD, “Invariants and orbits of the standard (SL4(C)×SL4(C)×SL2(C))-module”, Izv. Math., 2000, 64(5), 1003-1015. This introductory course to statistics and probability theory is modeled as an extension of a traditional university Statistics course and Advanced Placement Course in Statistics to a broader spectrum of topics, while keeping the spirit of quantitative discourse applied to real-life problems. The material is offered in 5 consecutive modules (see Course Outline below), each containing a lecture, a discussion section, and a practicum. For practical exercises we use R programming language and R-Studio software. However, this course is focused on statistics rather than R; therefore, each practicum is designed with the purpose to demonstrate and reinforce understanding of concepts introduced in the lecture rather than to provide a training in R.